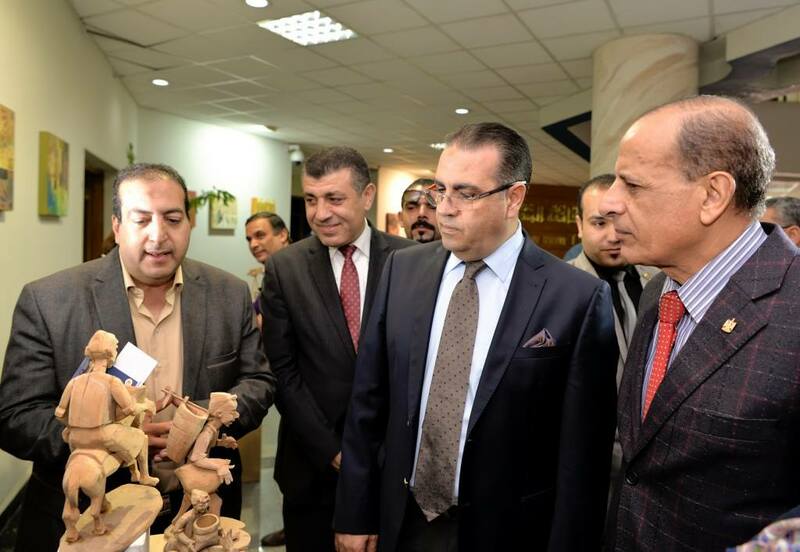 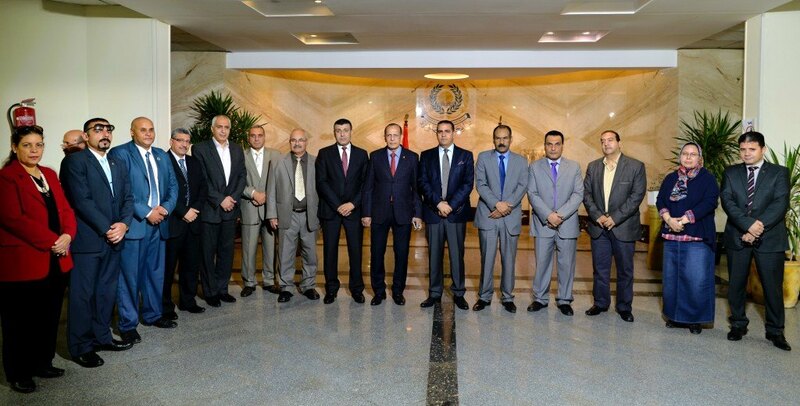 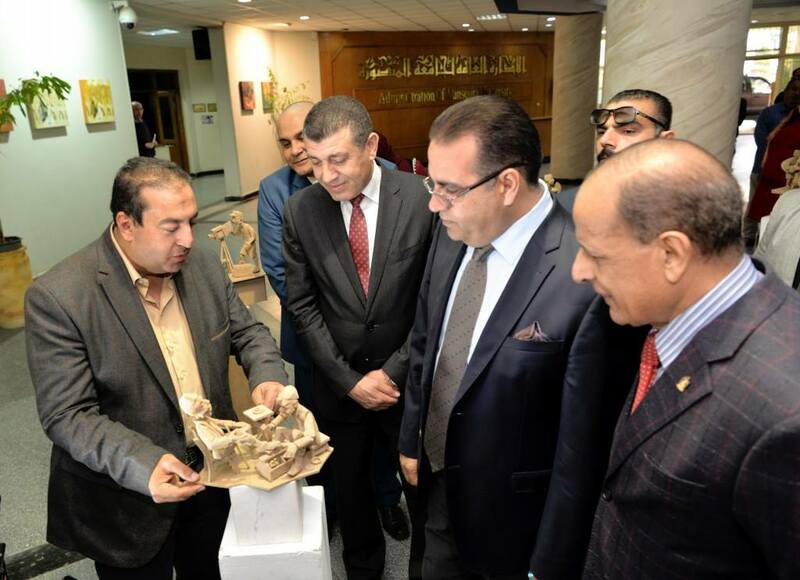 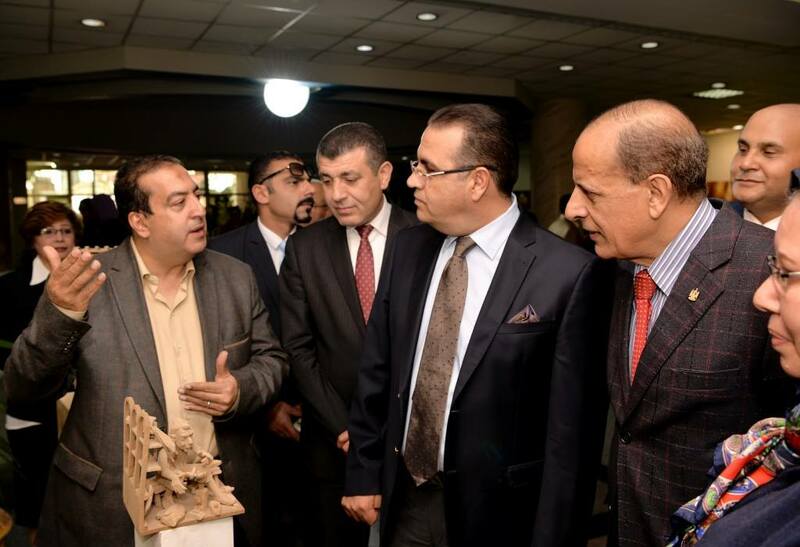 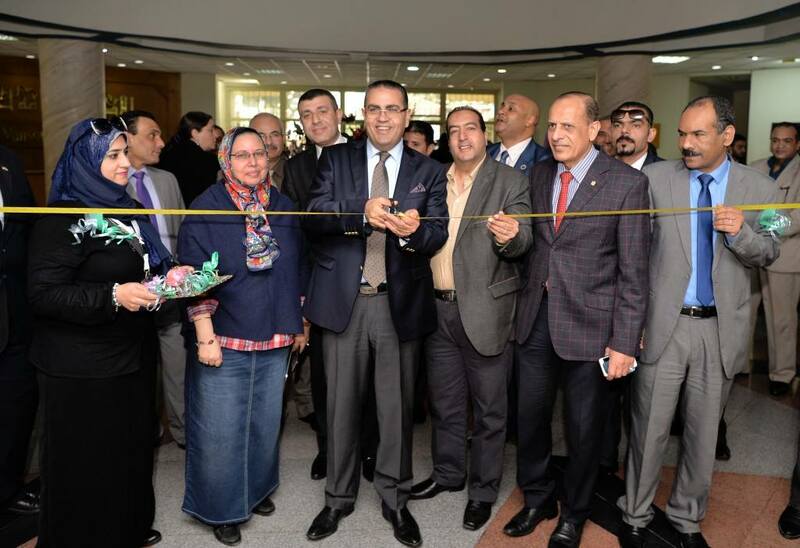 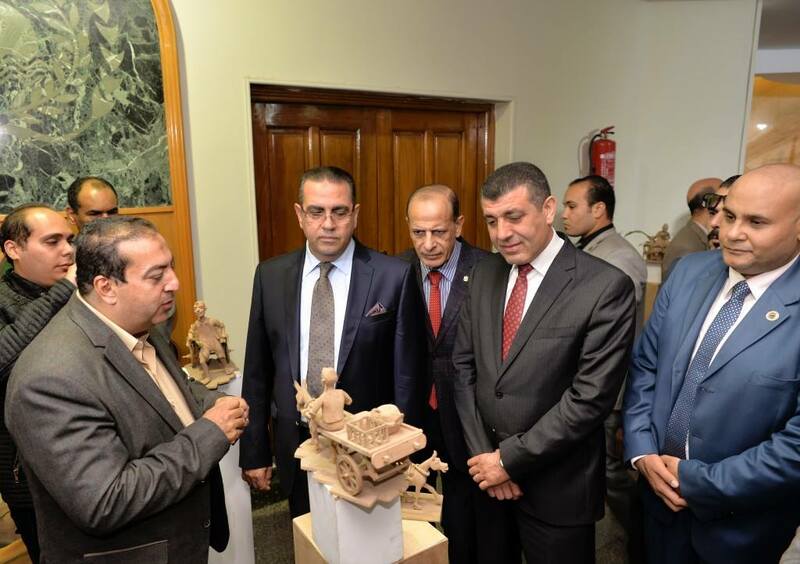 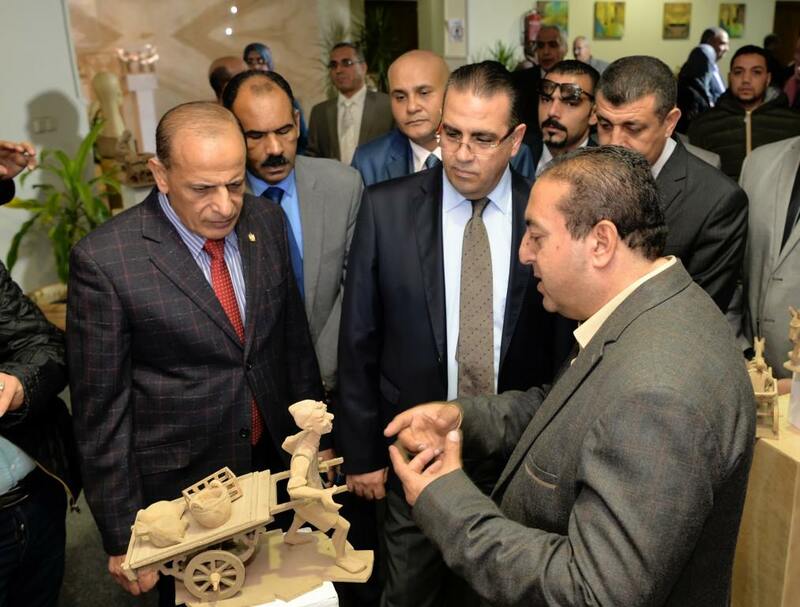 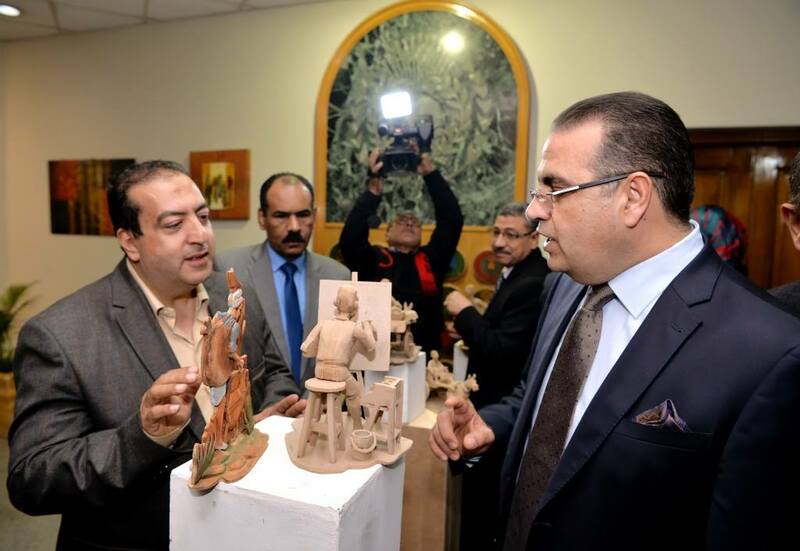 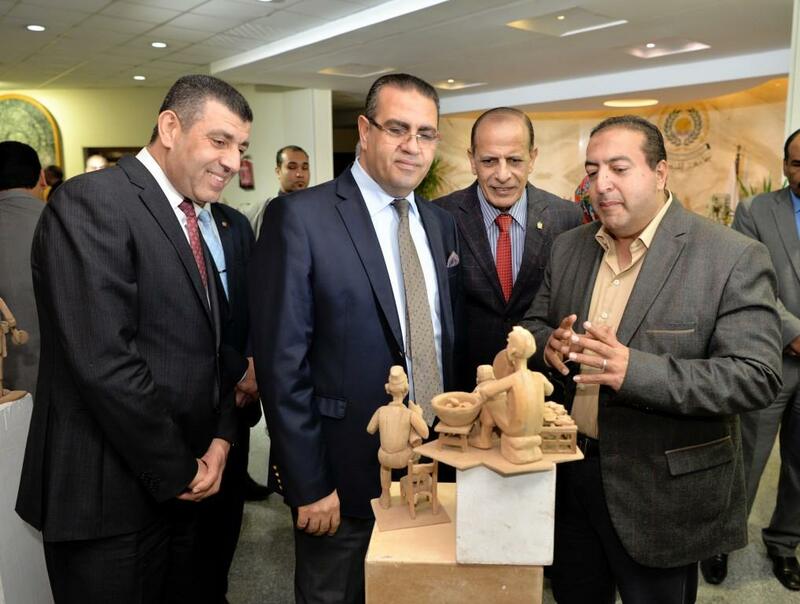 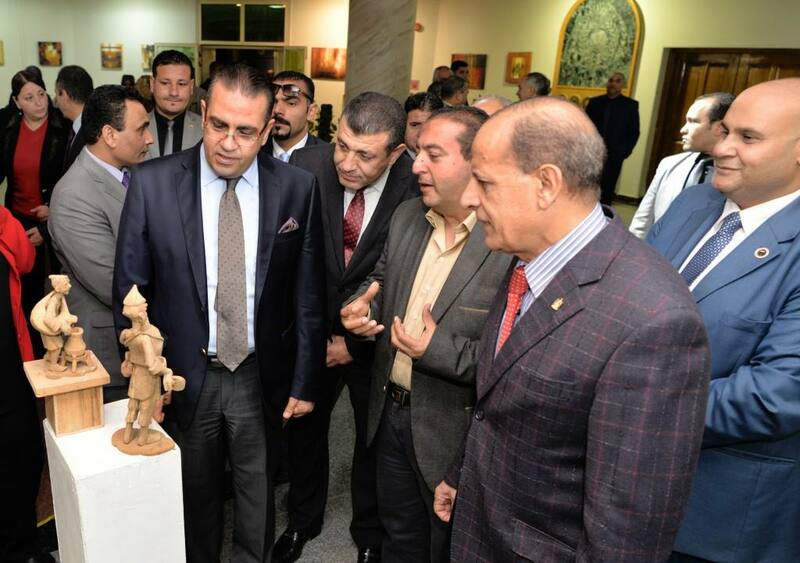 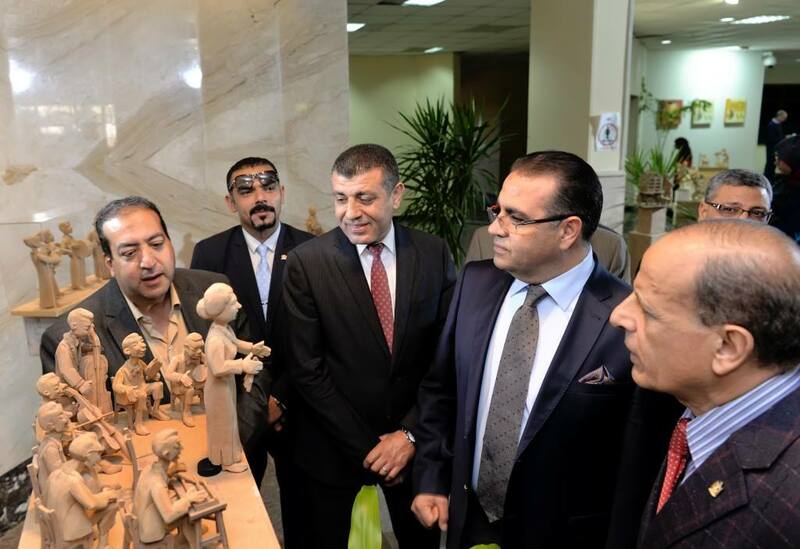 Prof/ Mohamed Kenawy – president of Mansoura University and prof/ Zaki Zeidan -Vice-President for Community Service and Environmental Development, inaugurated the sculptural pieces folklore exhibition, for prof/ Ibrahim Ahmed - professor of sculpture at the Faculty of Specific Education. 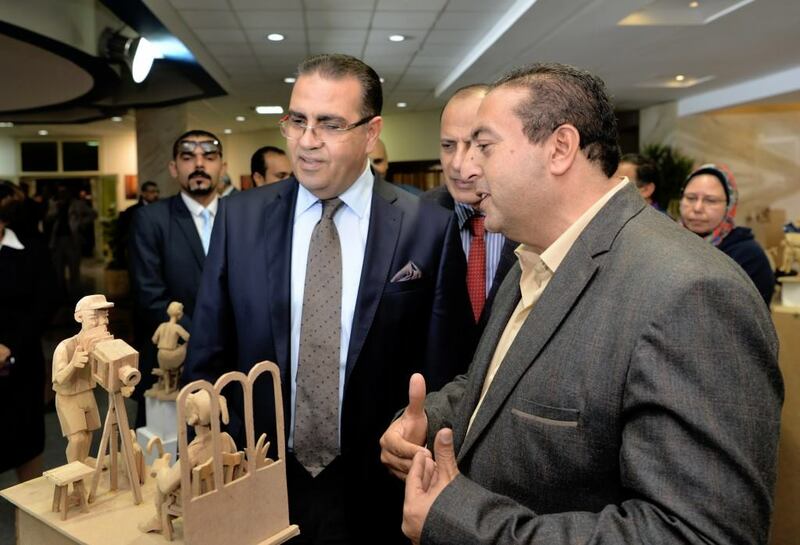 Prof/ Ahmed, pointed out that the exhibition includes 50 pieces of wood sculpture representing the Egyptian folklore and heritage that have developed in the modern era. 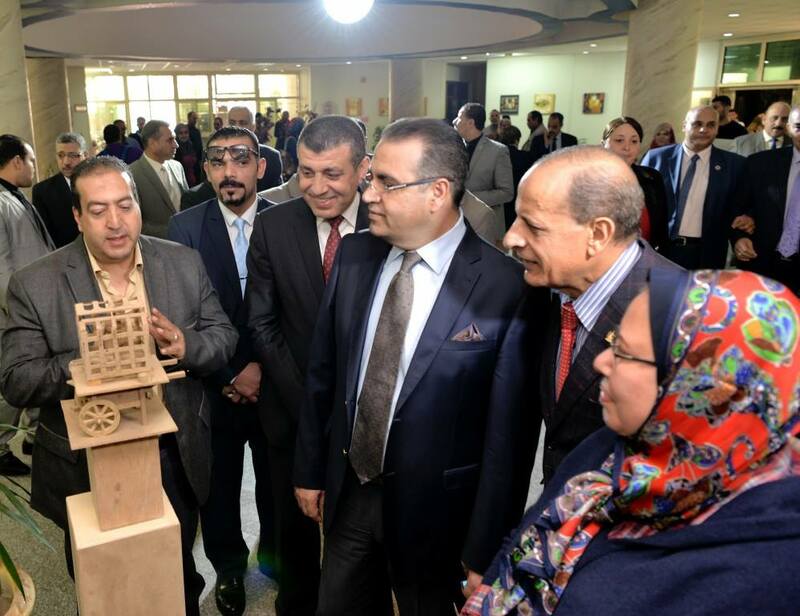 The exhibition aims to introduce visitors to heritage and some newly developed professions, and embodies a different artistic vision from the visible and new reality.